Do Solomon Islanders require visa for visiting Vietnam ? 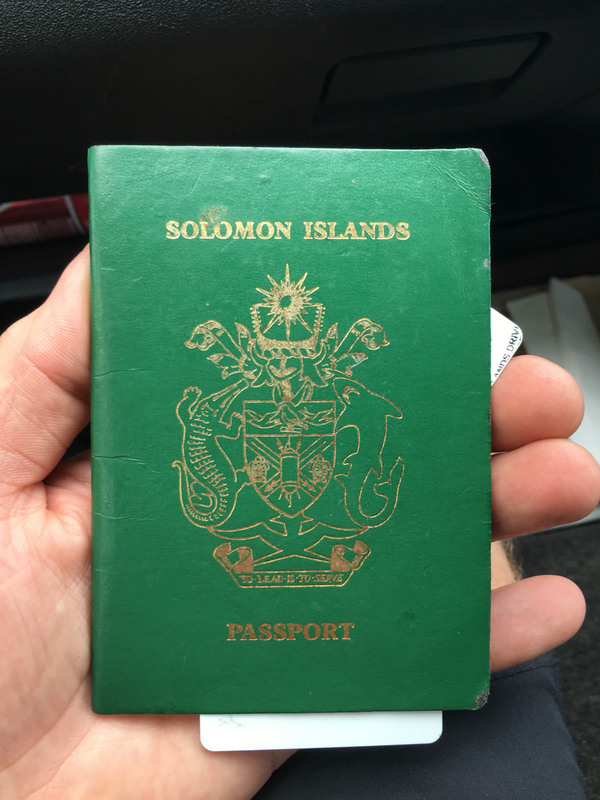 Solomon Islands citizens the same as most citizens in the world need Vietnam visa to enter the country. Nevertheless, Vietnam has not had any embassy or consulate in Solomon Islands yet. For that reason, Solomon Islands citizens either apply Vietnam visa with Vietnam embassies in a nearby country OR apply Vietnam visa on arrival with Vietnam Immigration Department on this website. Since Vietnam has not established embassy and consulate in Solomon Islands, Solomon Islands citizens can get Vietnam visas from any Vietnam embassy in a country near your country OR a better way is applying Vietnam visa on arrival online with Vietnam Immigration Department. Applying Vietnam visas with embassies, you should contact the embassy that you want to apply Vietnam visas for details because each embassy or consulate requires differently depend on the relation of that country with Vietnam government. However, applying Vietnam visa on arrival Solomon Islands citizens can apply now on this website. Normal process just takes about 5 to 10 minutes to complete if your visa has granted you will receive the result in 2 working days or less (with urgent visa). Applying Vietnam visa on arrival, or another name is Vietnam evisa, people simply click on the APPLY VISA button, filling in the online visa application form and submit. The result will be informed to you by email within two working days as a standard process. We also offer 8 hours, 4 hours or 2 hours visa processes on RUSH VISA button with extra fees. After we have received the fees, your application will be sent to the Immigration Department and if your visa approved, you will receive a visa approval letter by email. Print it out and you can fly to Vietnam with that letter. Your visa will be pasted in the passport at a Vietnam international airport. Making sure you meet the other visa requirements, please read visa requirements article. Vietnam visa on arrival Vs. visa from embassy? Visa embassy is the visa that issues by the embassy. This is a traditional way for many years that people have to find embassy offices to apply for visas. Applying with the embassy people need to contact the officers for details requirements as each embassy requires differently depends on the relation between countries. Nevertheless, applying Vietnam visa on arrival, people can apply online on this website. Vietnam visa on arrival, on the other hand has been issued by Vietnam Immigration Department, the government organization since 2003. It is a visa online system that applying the advantages of the internet and allows people apply visas through the internet. Visa applicants can apply online and receiving the visa approval letter by email. The visa arrival letter authorizes people use as a visa, they can fly to Vietnam with that letter and their visa will be pasted in the passport when they have arrived the aiprort.